In 1921, a group of General Electric employees requested the use of 75 acres of land owned by the General Electric Company, on the east side of Four Mile Creek, on which to build a golf course. In 1942, a second nine holes was constructed on land that the General Electric Company purchased in 1919. 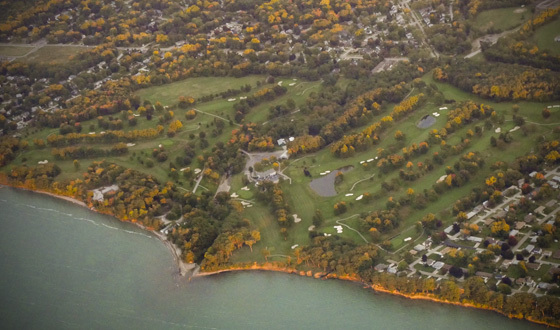 The General Electric Company owned the course until 1967, when the members of the Lawrence Park Golf Club purchased its 125 acres (Courtesy of Marjorie D. McLean). Lawrence Park is a Private Golf Club. $55 – Must be with a member. Weekends: Thursday Lottery; submittal deadline Thursday at 8 a.m.
Option 4 or ext. 201 for details.